do not harden your hearts"
2 - Have You Found God's Son? 8 - Cut Sin Out Now! 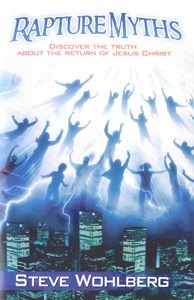 Will true Christians vanish in a rapture? Will seven years of apocalyptic terror overtake those left behind? Will earth's nations attack Israel at Armageddon? Bestselling books like Left Behind and popular apocalyptic movies predict such things. Are they correct? 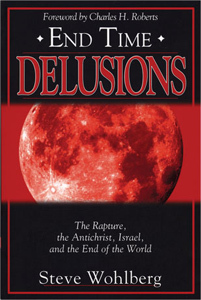 End Time Delusions is Steve Wohlberg's most comprehensive book on prophecy separating facts from speculative fiction and revealing what the Bible really teaches about Earth's last days. Rapture Myths addresses every major New Testament verse about the Rapture (such as 1 Thessalonians 4:17) and uncovers shocking secrets about "The Seven Year Tribulation" debate. Will there be a seven-year tribulation, or not? Discover irrefutable facts, and share them with your friends. Only $1.25 each! Quantity discounts available.